For many in our world — it is a serious thing just to be alive on this fresh morning in the broken world. I cannot stop thinking of all the people displaced by wildfires in California. Yesterday, our local firefighters set up their trucks on a major boulevard. From the freeway, we could see Californian and American flags flying from their extended ladders, lights flashing. All to encourage passersby to stop and donate to wildfire victims. So many have lost everything. So many have to start over. 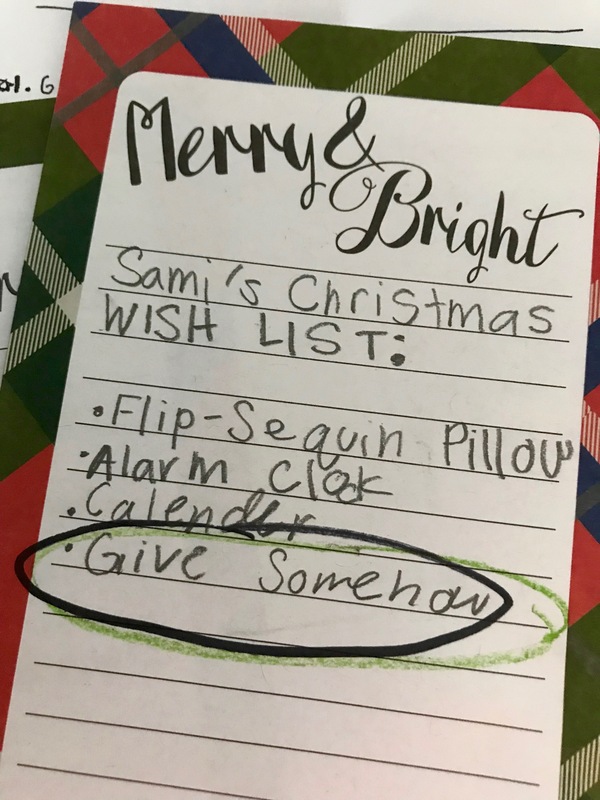 When I asked the kids for their Christmas lists, I was so touched by Sami’s short stack of items. With her biggest desire circled at the bottom. A few nights later I fell asleep thinking about the stories and faces from this book. They are still living vibrant in my mind and I am wondering, What more can we do? How else can we help? Then my friend Saydi invited us to participate in this service project. A Children for Children Concert to raise money for the Oinofyta Community Center in Greece. 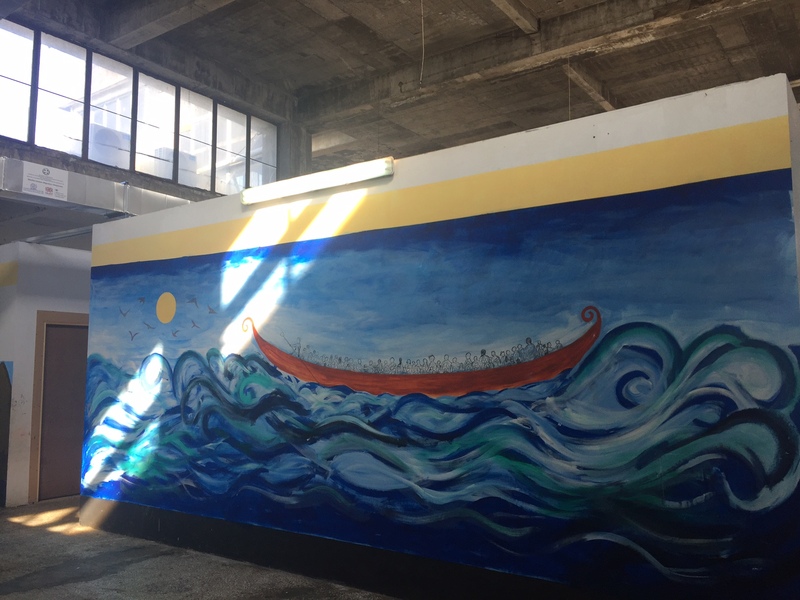 This center tries to meet the enormous needs that the government camps aren’t meeting for 600 refugees (more than half of which are children). Oinofyta is the only real resource for medical/emotional/nutritional and legal help for these refugees. Despite the incredible work the Center is doing, it has no sustainable source of funding. We are trying to raise $6,000. Friends and children in other cities are putting together similar concerts. Some of my kids will perform in the concert and patrons will have the option of donating money to Oinofyta in person or online. 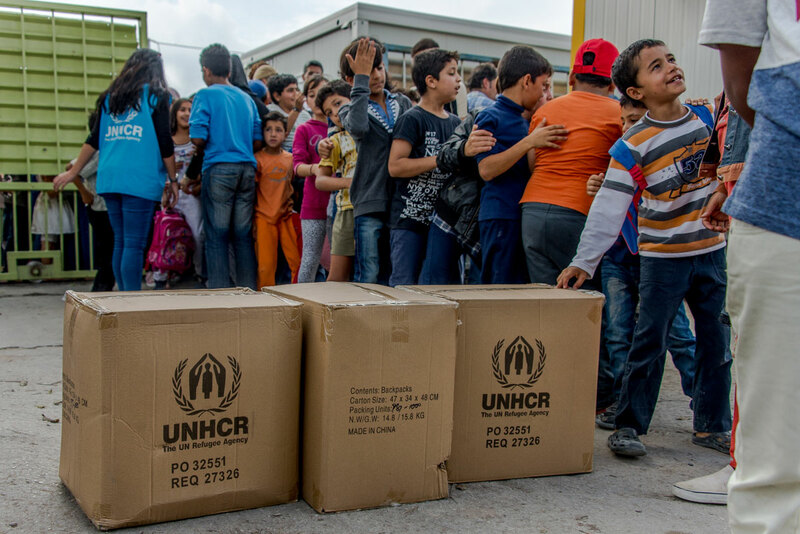 If you feel you’d like to help the international refugee cause, please donate any amount by clicking here. All of this money will go directly to the community center. 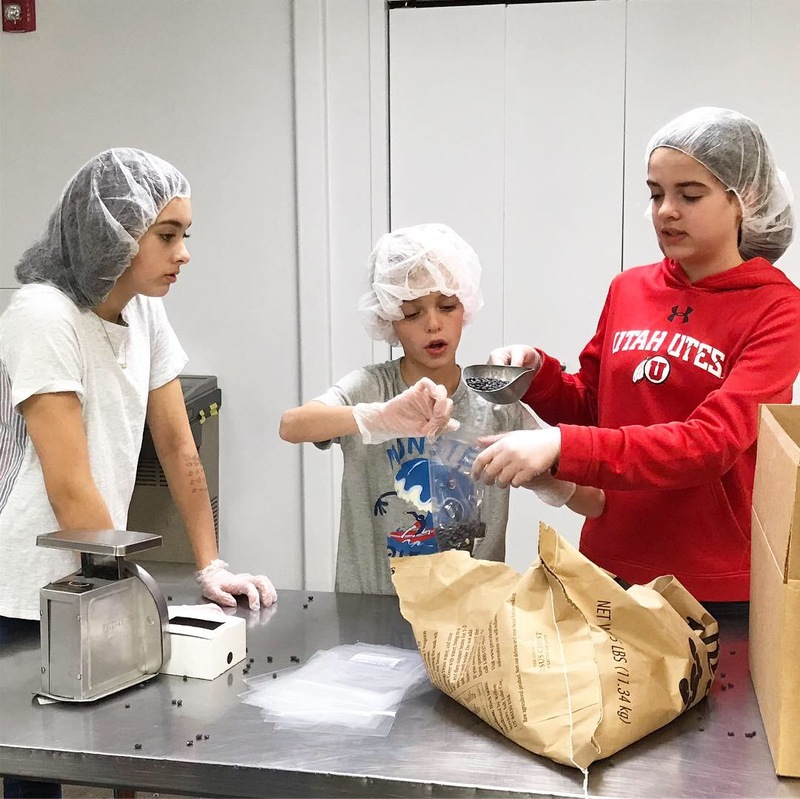 Yesterday, I took the kids down to the Utah Food Bank, where we donned hairnets and gloves and bagged black beans for a couple hours. It was a small service, but we were reminded again of the many starving individuals in our state. 1 in every 5 Utah children goes hungry every day. And that disturbs me. 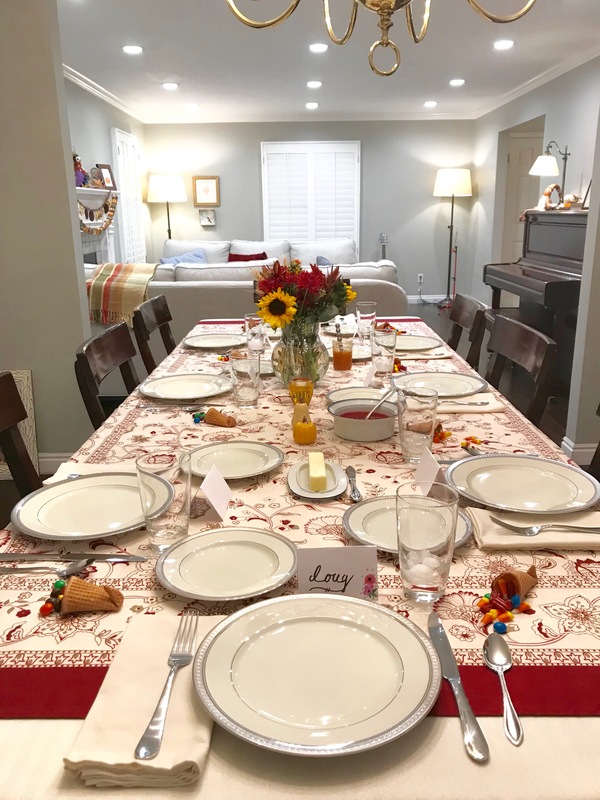 We will gather round our dining table this afternoon with our smoked turkey, yams, and homemade rolls, and I will remind my children that we must stop and think of those who won’t have food today, who have no home, who are alone. 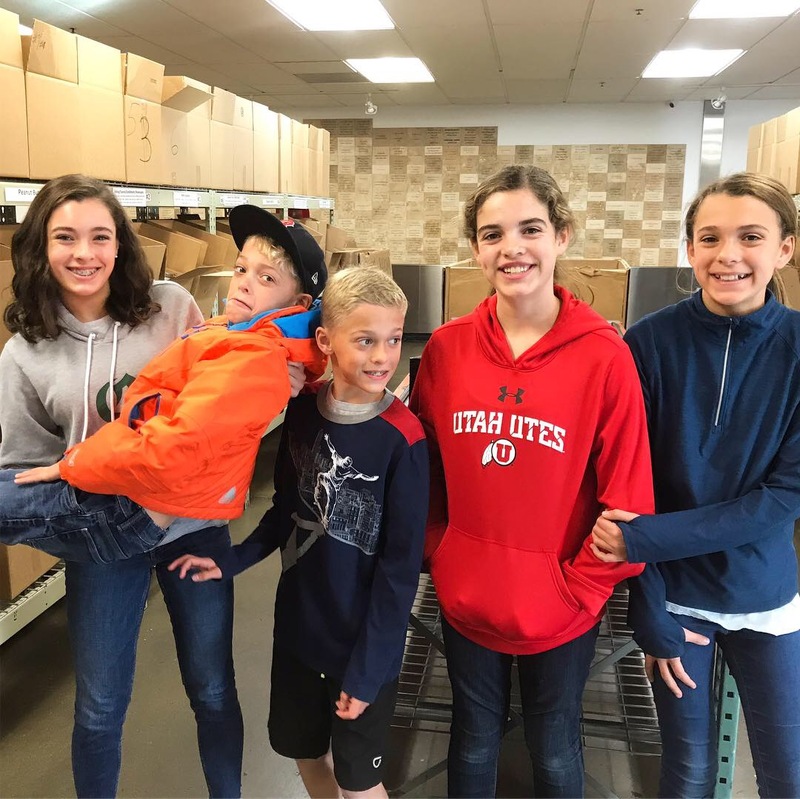 Click here to donate money, or your time at the Utah Food Bank. So when we feast today, I want to remember those in our broken world who are without, who need to brought into our circles. Who need nourishment, charity, a warm embrace, a hand up. Then, I want to do something about it. As I ran trail this morning, a cold wind shoved me from behind. As I trudged upwards, suddenly, the sun pealed over the mountain skyline, liquid-like, ethereal. Lighting up the last leaves like tiny light bulbs trembling on sticks. I thought of that last line in Oliver’s poem. The goldfinches do mean something. And so does the sunlight that slid over the mountain, setting every withered leaf on fire. It was like a vision unfolding. An annunciation. An invitation. To change my life, as Oliver says. To give more, consume less. Gather where and when it is uncomfortable. Minister as Jesus would. And that is my invitation for all of us. 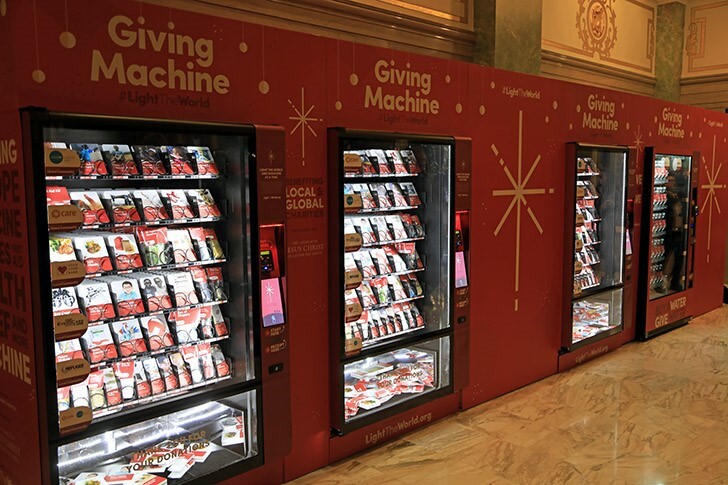 The LDS church just launched their “Giving Machines” campaign again. A chance to give through vending machines in several cities. They have set up machines like this in Salt Lake City, New York City, Manilla Philippines, London England, and Gilbert Arizona. You can buy things like two chickens for $25. Or feed a family for a month for $100. There’s a goat for $65. And other options like filling a backpack for a refugee child or providing eye care for a child whose parents could never afford a doctor. Last year this campaign brought in $550,000. That’s incredible! Just another idea of a way to give if you happen to live in one of these cities. I love this video from last year’s campaign. Many of you are already leading the way on so many paths of service. Thank you for your examples. I have learned so much from you. Happy Thanksgiving dear friends. And a joyous holiday season as Advent begins this weekend. You are loved. And I am so thankful for you. Cath, thanks for posting this and getting the word out. I love the image of the goldfinches, I’m trying to pay attention to them. I agree with Doug, we’ll all be ok if we follow Sami’s lead.